Daniel Radcliffe thinks it's too tempting to "switch off" with alcohol. 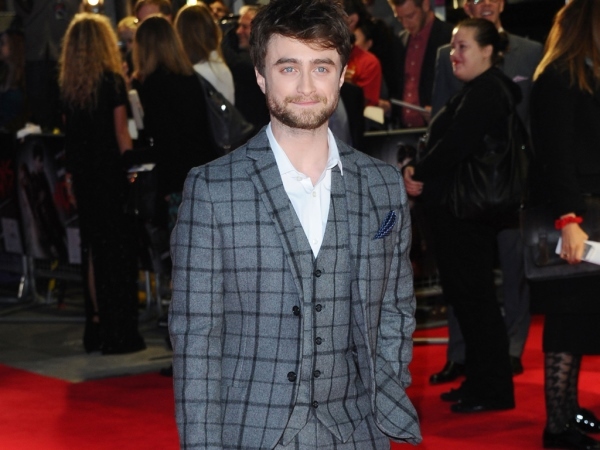 The Harry Potter star stopped drinking in 2010, when he felt he was becoming too reliant on it. Now he's spoken out about the decision and how it's helped him come to terms with problems in his life in a healthier way. "I had to make a decision," he explained to German Gala Men magazine. "I just felt it was better for me to abstain. It was just becoming too easy to switch off my brain with alcohol; as pleasant as that may be after a long day. "But it meant that I wasn't really dealing with my issues. I'd rather face things than run away from them." The 25-year-old waved goodbye to anonymity and a normal childhood when he accepted the role of wizard Harry in the hugely popular franchise. It meant being introduced to a world where attending functions and being surrounded by booze is the norm. "I work an industry where people drink a lot. That's what made it so hard," he admitted. Daniel is keeping busy, currently filming comedy sequel Now You See Me: The Second Act and afterwards moving on to drama Brooklyn Bridge with Brie Larson. Despite his early start in film and his continuing success, the Brit remains down to earth. "Are you asking whether, if I hadn't been a child star, I would be an a**ehole? I don't think so," Daniel recently laughed to British magazine Grazia. "I think people expect me to be an obnoxious brat, because all child stars are, so sometimes I am overzealously polite."